Of the many early PS2 titles that are now viewed as having helped to define the RPG genre in that high-quality era, Final Fantasy X remains among the best. The 2003 follow-up, Final Fantasy X-2, isn’t as favorably regarded, but Square Enix’s decision to include it alongside its all-time-great sibling as one package in Final Fantasy X | X-2 HD Remaster isn’t unwelcome. Both games have been brought together on the PS3 and PS Vita a decade after their original releases with revamped visuals, an updated soundtrack and additional content that fans in certain areas of the world never got to experience the first time around. 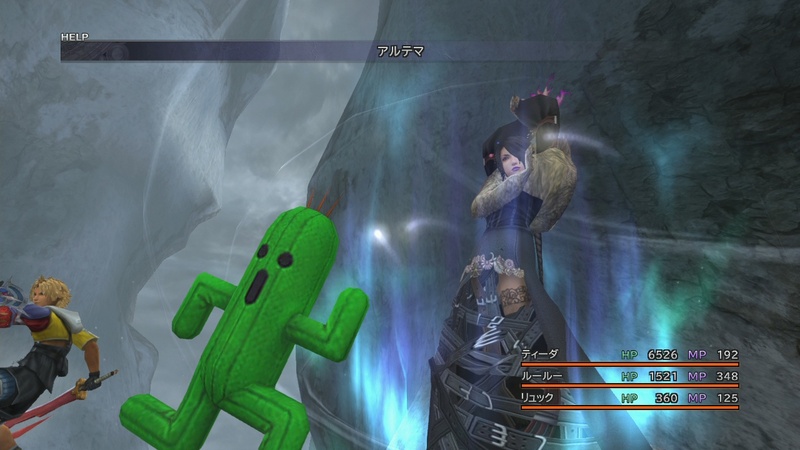 Square Enix’s HD do-over ends up being as compelling a package in practice as it is on paper, and is a beautiful restoration of everything that made the original title memorable while at the same time bringing what is now a classic FF title to a new age of players with visuals and music updated to make it more acceptable by 2014 standards. Better still, it does so without disrespecting the original classic older players will know, love and remember. Familiar gameplay systems quickly remind you why you loved them in the first place.As you might expect, Final Fantasy X | X-2 HD Remaster includes both Final Fantasy X and X-2 – on one disc on PS3, while the Vita version includes FF10 on a game card and a download code for its sequel. FF10 sees players take on the role of Tidus, a young sportsman and would-be adventurer who finds himself spirited away to the strange world of Spira. Throughout his adventure, which is essentially the first of the more linear FF titles, the player travels with him to meet of a colorful cast of characters and see fantastical location, all set to the backdrop of brilliant music and a typical world-saving plot. Combat plays out in a classic turn-based battle system style that relies on swordplay, magic and summons. FFX-2 is actually a direct sequel, and sees the player character baton passed to Yuna, Tidus’ love interest and main heroine of FF10. Departing from FF10’s turn-based systems, the game is brave in its depiction of a classic FF job system with in-depth customization and features active time battles. The tone of the game left many cold at the time, but its combat is undeniably some of the best in the series. Continuing their tradition brought over with Kingdom Hearts HD 1.5 ReMIX, Square Enix saw fit to bring both International versions to the complete worldwide audience for the first time ever. Much as with Kingdom Hearts, plenty of previously Japanese and European-only content has finally made its way to the remaining audiences. This opens up an advanced Sphere Grid, new boss challenges and, in the case of the sequel, a rogue-like post-game dungeon that spans 80 levels. 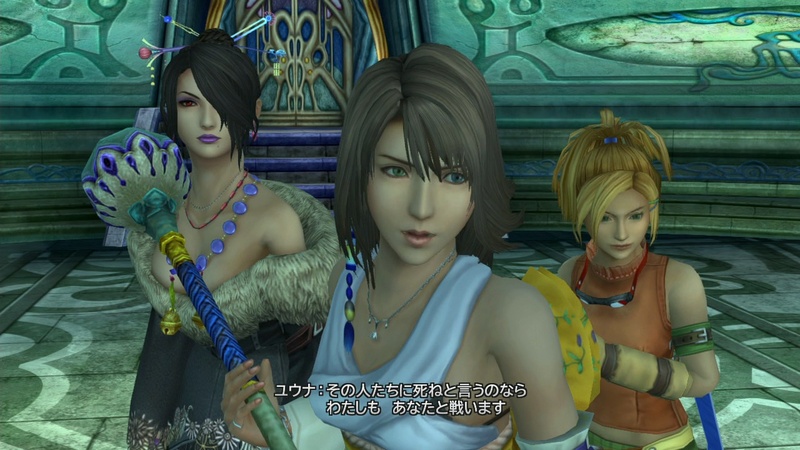 A new audio drama detailing new events taking place a year after FFX-2 has also been included – an optional watch-through available post credits or by simply selecting it from the game’s main menu. While the story presented here is probably a bit controversial given what it does retroactively to the endings of both games, Square Enix still has to be commended for going the extra mile, bringing back the entire English cast to reprise their original roles. Both games have been upgraded beyond typical HD-revision standards on this release, the work done impressive. Many of the visuals are now left closer to what one might expect from a PS3 title, especially in many drastically-improved character models. More difficult to change models, such as world geometry, are left as they were on PS2 but at least blessed with some incredibly detailed new textures. While never quite perfect, the visual improvements found in both games do well to create a version of Spira that remains just as beautiful as I remember. Main menu and battle interfaces have also seen a bit of an upgrade more fitted to the modern age – but gameplay mechanics remain untouched. FF10 was clearly the focus here, with that showing off the more impressive of the upgrades. While adjusted and tweaked in similar ways, it’s plain to see that its sequel was a secondary focus during development. In general the costume-swapping sequel features far less impressive new model work and simply the better texture work, which still goes a long way to improving the look of the release. FF10 probably should be the focus, and while it’s a shame the games aren’t perhaps equal, it’s easy to understand why. The difference in models is significant.Most of the revisions made to both titles are subtle but welcome changes, with the base structure pleasingly left to remain largely the same as the originals. That means, quests, characters, items, etc. are still faithful to their PS2 siblings. The addition of the International content bolsters this release a bit for those with experience, offering them something new and exciting to try while also giving newcomers a more complete package out the gate. Having never experienced the International content for myself, I enjoyed adventuring once again through Tidus and Yuna’s journeys with the additional content making the return much more sweet. For North American players especially, this is not an identical journey. With all of the above noted, and with the games beautifully upgraded and still left to remain true to themselves – not a bad thing by any means – it still has to be said that performance of the remakes on PS3 still leaves a little left to be desired. Small issues are littered throughout. Visual upgrades are marred by an increase in loading frequency as well as audio volume issues and inconsistent character models – gorgeous new ones mixed with simplistic older ones – propped up by outdated PS2 animation which has been left untouched. I understand, of course, that both games are HD remasters and not remakes, but the amount of work put in to everything else just leaves me disappointed they couldn’t work those few uneven issues out. Some of the music tracks – which have been partially rearranged for FFX – are also perhaps overzealous, missing the point of the original piece somewhat. Even so, in general the new recordings do more good than harm. These issues aren’t by any means game-breaking but they do prevent the package from quite being the genre and era-defining package thing it should be. Despite those minor issues, Final Fantasy X|X-2 HD Remaster is by far the best way to replay both classic FF titles. Technical and audio ticks aside, FFX and X-2 are still both great games and now look better than ever in this release. For the price, both long-time and new fans alike should have no problem getting the most out of what is yet again a great HD showing from Square Enix. Disclaimer: Read more about the Nova Crystallis review policy here. Posted in Final Fantasy X, Final Fantasy X-2, Reviews, Special. Never played X before, so this is a welcome re-release! This time, I’m going to 100% the game. I sort of cherry picked what extra content I completed in X – which I invested an entire spring break into – and I didn’t even come close to completing all of it! I’m not afraid to render the expert sphere grid, either. I might even pick up the Vita versions eventually, just so I can experience FF X on a handheld. Sometimes the hype for X and X-2 makes me want to like them both… oh well. You should pick a PS3 up. They are super cheap now. I found a 120 GB second slim model for 150 bucks and it works great! Im going to get 100% in X-2, i want to se Tidie and Yunie together!!!! Cant wait for this, none of us cant wait indeed! Spend as much time as possible on X…… Trust me…… You will love it to death. Let me put it bluntly: half-assed. -atrocious emotioneless/doll faces animation (PS2 ver. is miles better). -no voices (jpn/eng) choice when the full thing is only 22gigs (PS3 disc). Grab a midnight blue jpn ps2 and a copy of X international, that’s the way this gem is meant to be played. Reviews are opinions, like it or not.